scrappin it: Prizes Winners Announcement! Ya'll have been so patient but the time has come to announce ALL of the Crafty April Website Launch month. Well... from all those who were smart enough to take a class this April I picked one name to get one of my classes for free! Since there aren't many classes offered yet this offer will be open to that person until the end of the year! That lucky winner is...Perla Nespo! I've already posted all the answers to the website trivia here so you can check them out. Many of you had fun playing and you knew the answers. All winners: please email me your address so I can send you your prize. Thanks for being part of my website launch and playing along! *** C O N G R A T S *** to All the Winners!!! WooHOO!!!! Sending my Email NOW!!! 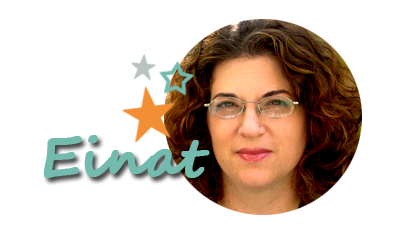 T H A N K S sooooo Much, Einat!!! !